With so much scenic allure, this dramatic island nation is a paradise for active travelers and nature lovers alike. 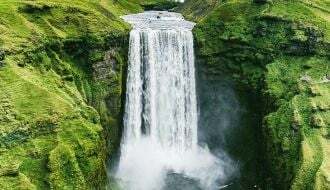 A land of staggering beauty, New Zealand boasts subtropical rainforests, pristine lakes and rivers, thermal springs, snow-capped peaks, and endless coastlines. Not to mention one of the densest populations of sheep in the world — about 40 million — and more than 250 native bird species, including the flightless kiwi, which shares its name with New Zealanders themselves. With so much scenic allure, this dramatic island nation is a paradise for active travelers and nature lovers alike. 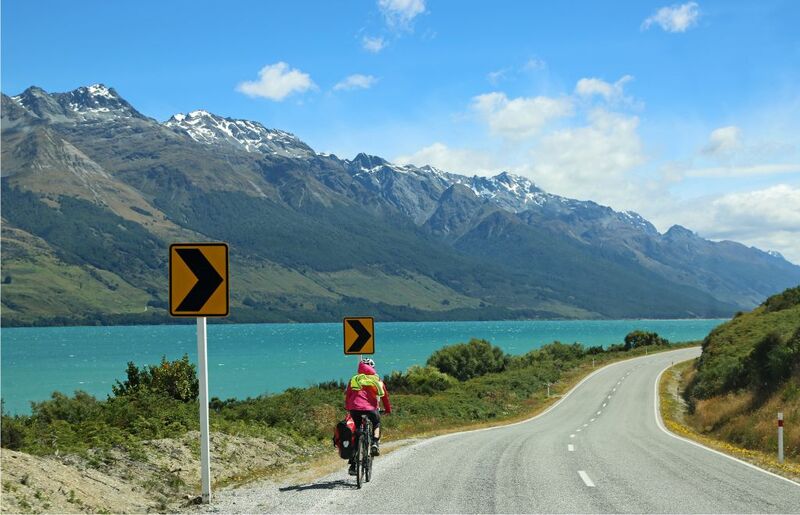 Here are three ways to explore New Zealand in depth: by bike, on foot, and by motorcoach tour. Regardless of the method, you’ll be wowed by images of one of the most astonishing places on earth. Get close to the ground on Country Walkers’ eight-day guided walking tour, “New Zealand: The South Island.” Go “tramping,” as the locals call hiking, on the most scenic walkways on the South Island through magnificent forests, rivers, mountains, and coastline. Follow the banks of glacial riverbeds, tracing the footsteps of ancient Maori settlers and colonial-era gold miners. Watch fur seals and crested penguins bask on secluded golden beaches. Take a magical nighttime stroll through a rainforest, while the stars of the Southern Cross glitter above. Hike the Mt. Robert Circuit into high alpine landscapes and marvel at the lakeside tranquility of Nelson Lakes National Park. Savor the coastal beauty of Abel Tasman National Park — home of one of the nation’s “Great Walks” — and traverse the gorgeous Queen Charlotte Track in Marlborough Sounds. Along the way, enjoy fresh cuisine — including a special tasting on board a cruiser of the region’s famed green-shell mussels plucked straight from the sea. And toast your good fortune with New Zealand’s world-renowned wines during meals at eclectic wilderness lodges and local restaurants. It doesn’t get better than that. This unique itinerary combines biking and walking on specially designed routes that showcase these natural wonders. You’ll collect a lifetime’s worth of memorable experiences. Ride the TranzAlpine for one of the world’s most scenic rail journeys into the Southern Alps. 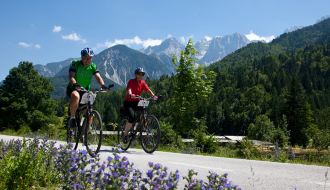 Spin through forests and farmlands, surrounded by soaring alpine peaks. Pass wetlands, native forest, and old mill sites on a dramatic ride on the West Coast Wilderness Trail along the coast of the Tasman Sea. Delve into New Zealand’s early mining days on a stroll on the Ross Water Races Walkway. Get a picture of life in pioneer times in Arrowtown and Hokitika, two former gold-rush towns once teeming with prospectors. Kayak through the pristine Okarito Lagoon, New Zealand’s largest unmodified wetland, teeming with wildlife, including more than 70 species of birds. Amble along a valley carved by the retreating ice of the Franz Josef Glacier and marvel at its icy blue expanse. Circumnavigate the perimeter of iconic Lake Matheson to the “View of Views,” a striking vista of Mt. Cook and its mirrored reflection in the water. Thrill to views of stunning mountains and pristine waters during a picnic at Lake Hawea and during a birding walk at Lake Moeraki. Meet the warm and welcoming Kiwis on a visit to a sheep and cattle ranch, where you can watch shepherd dogs at work and savor home-cooked meals. And sample New Zealand’s world-class wines at an Otago region vineyard. 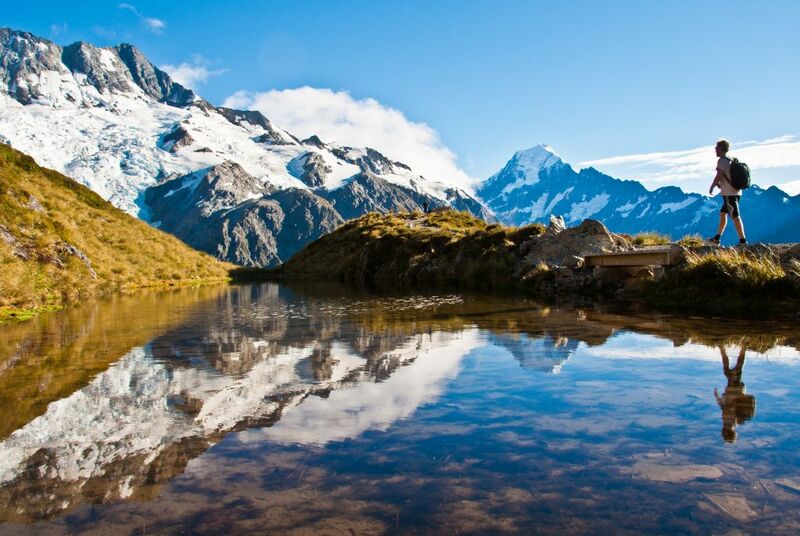 Want to combine both the North and South Island on your New Zealand adventure? Consider Holiday Vacations’ 13-day tour, “Spectacular New Zealand,” which combines scenic and cultural attractions. Set out from Christchurch on the South Island for a drive to the spectacular glacial lakes and Southern Alps of Mackenzie Country. Meet the country’s most iconic bird, the kiwi, at the Kiwi and Birdlife Park. Visit the gold-rush town of Arrowtown, also known as the adventure capital of New Zealand, whose suspension bridge on the Kawarau River gave the world bungy jumping. After driving through Fjordland National Park, take a cruise on the world-famous Milford Sound to view glacial waterfalls and soaring peaks. Depart Dunedin, the country’s oldest city, for one of the world’s great train trips on the Taieri Gorge Railway — a four-hour scenic journey into the spectacular Taieri River Gorge. Take in the thermal areas of the Hidden Valley to see silica terraces, boiling pools, geysers, and an incredibly rare geothermal cave. Cruise the Waikato River and marvel at impressive Huka Falls, New Zealand’s most visited natural attraction. Cultural experiences abound, too: Take a guided tour of the historic Larnach Castle & Gardens, known for its tragic past, on the picturesque Otago Peninsula. In Dunedin, famous for its Scottish heritage and Victorian and Edwardian architecture, visit such iconic attractions such as the Speights Brewery, Cadbury World, and the World’s Steepest Street. Enjoy a special cultural evening featuring a Maori concert and a traditional hangi feast. Travel to Alexander Sheep & Cattle Farm in Matamata, a combination working sheep farm and site of Hobbiton, The Shire from Middle-Earth, which was used as the movie set for The Lord of the Rings trilogy and The Hobbit films. End the tour in the North Island city of Auckland, the largest Polynesian city in the Southern Hemisphere, where you can see the world’s largest sub-Antarctic penguin colony in Kelly Tarlton’s Sea Life Aquarium. For more than 39 years, Country Walkers has provided active, immersive, and unforgettable travel experiences on five continents. They offer two distinct ways to explore: scheduled, small-group Guided Walking Adventures and independent Self-Guided Walking Adventures. 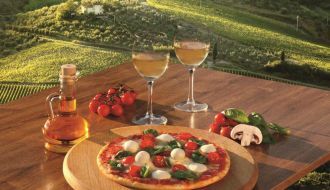 On tour, guests enjoy superb local cuisine, first-class guides, fine accommodations, and authentic cultural and natural encounters. Visit countrywalkers.com or call 800-234-6900 for more information. VBT Bicycling and Walking Vacations offer more than 55 deluxe, small-group bicycling, walking, and barge & sail vacations in 27 different countries and 10 U.S. states. They are the value leader in active biking vacations and have been rated among the “World’s Best Tour Operators” by the readers of Travel + Leisure for seven years. Each trip includes all accommodations, many meals, two expert local trip leaders, unique sightseeing and cultural activities, and full van support. VBT also includes round-trip international airfare from more than 30 U.S. cities and select Canadian cities for all overseas vacations. Visit vbt.com or call 800-245-3868 for more information. Holiday Vacations is one of America’s most reputable tour companies, with more than 45 years of experience. 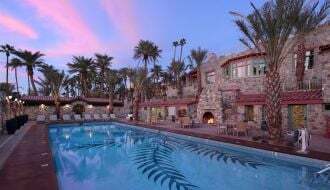 As a nationwide provider of air, rail, motorcoach, and cruise guided vacations to more than 65 destinations worldwide, their packages are inclusive of all airfare, fine hotels, meals, and must-see attractions. Expert tour directors handle all travel details. Visit HolidayVacations.com for more information. 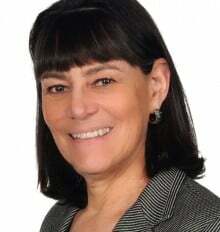 Award-winning travel editor and writer Veronica Stoddart was the former editor in chief of the Travel Media Group at USA TODAY. She has written for nearly two dozen publications and websites.